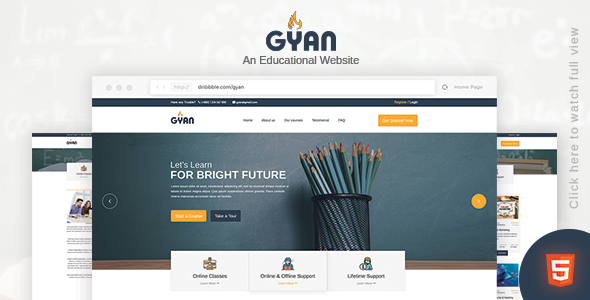 GYAN Landing Page HTML Template is a uniquely HTML template develop in HTML with a modern look. HTML files are well organized and named accordingly so its very easy to customize and update. Total 07 Pages have been included.